The Deco Modern Fireplace is an architecturally pleasing piece. 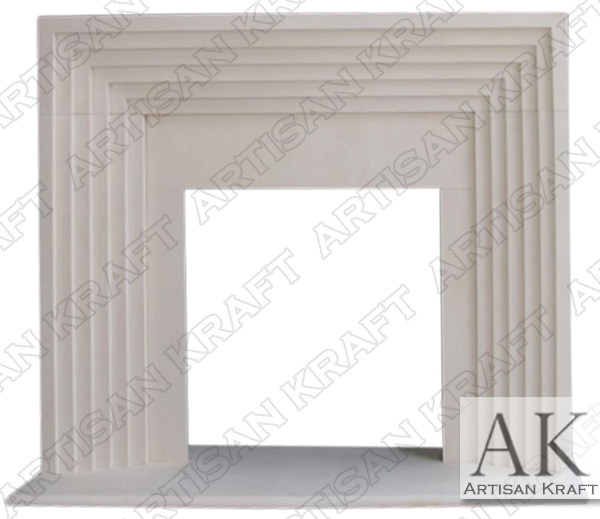 A limestone Deco fireplace mantel is in stock. The design of the surround is contemporary with sharp steps and lines. The stock option comes with inner panels and a hearth. This is a great example of a modern fireplace. Deco can be made from any material. Cast stone and marble are common choices. The Deco here is pictured carved from limestone. We have a large selection of modern fireplaces in stock. You can view the selection of contemporary fireplaces in stock on our sale page.